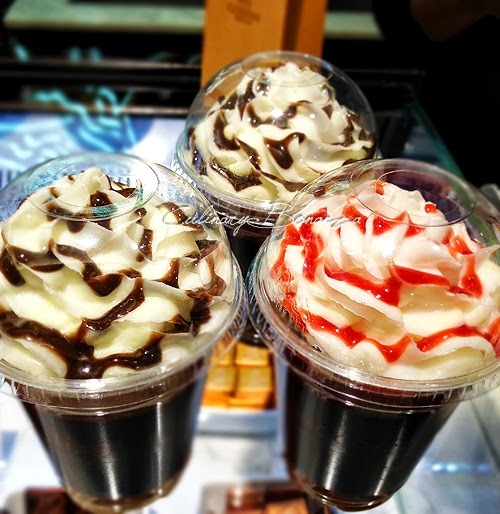 Ice blended drinks has proven a hit everywhere, be it in The States or in Indonesia, where cheap colourful (brain-freezing) sodas become the favourite of the masses. For those who have more budget can go for the coffee-based ice-blended drinks sold at almost every cafes in town. The choice does not stop there though. If you have even more budget, you would want to spend your dime on something finer and tasteful. 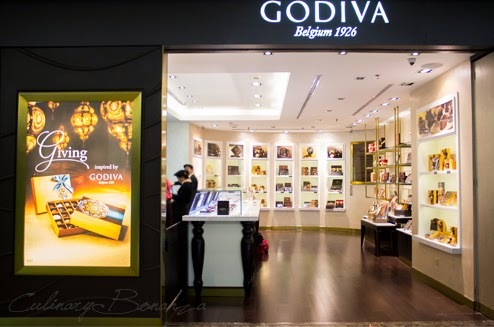 Now finally available in Indonesia, GODIVA Indonesia brings in GODIVA Chocolixir, an icy drink that comes in 4 different flavours made with GODIVA chocolate. The flavours available are Iced Dark Chocolate, Iced Chocolate Mint, Iced Dark Chocolate Raspberry, Iced Milk Chocolate. The standard version is topped with vanilla cream, but if you feel guilty already, relieve yourself from it and opt for without (vanilla cream). As someone who truly cherishes and enjoys chocolate, I personally enjoy this drink so much more in liquid form and at room temperature. 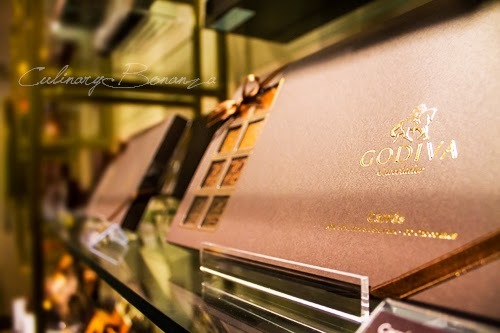 Because the richness of GODIVA Belgian chocolate is amplified multiple times in this state. 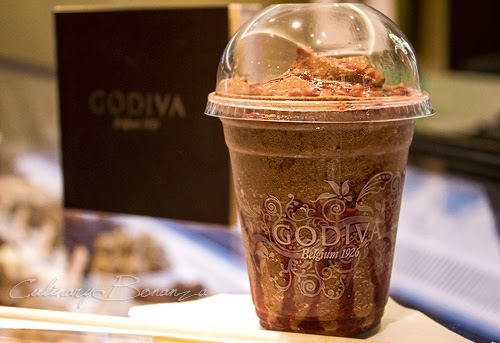 When I let the ice liquefy, the drinks are still as concentrated, and the luscious GODIVA dark chocolate chunks mixed when blending with ice settles at the bottom. 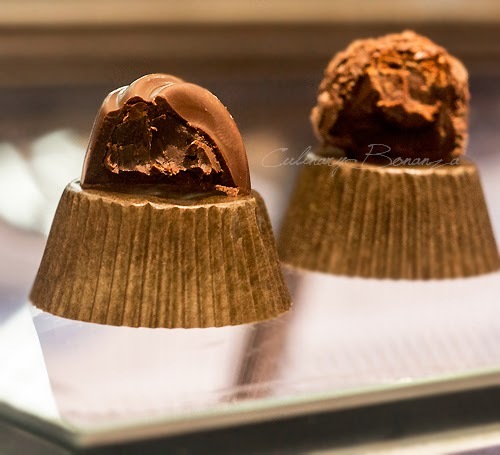 I would then heartily scoop the 'residue' up and savour it as the fine Belgian chocolate melt in my mouth. 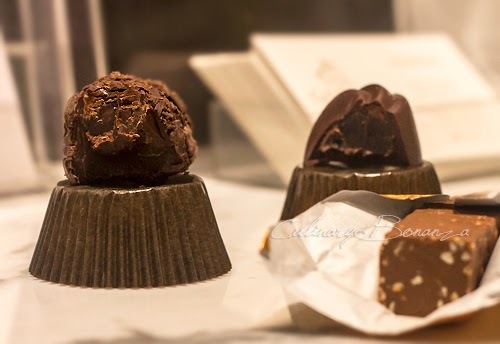 An experience at GODIVA boutique is incomplete without sampling the chocolate, so I had the truffes. Again, these are best enjoyed at room temperature. You will be well rewarded for the price you pay.